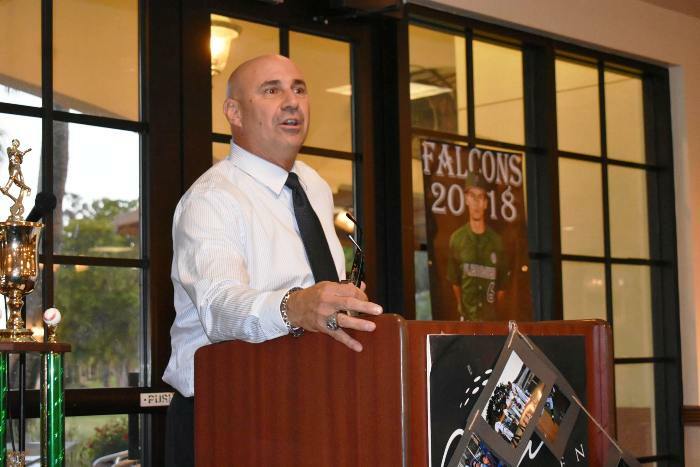 After being former Flanagan Manager Ray Evans assistant for many years, Noel Figueroa has taken over the Falcons program this year, and the team has not missed a beat. Flanagan is off to another strong start halfway through the year, and is on top of their district again. Let’s get to know the new Falcons skipper. Enjoy! The Rival Coach I Admire Most: Scott Benedict, because his teams were always competitive and fundamentally sound. He always put a good product on the field. What I Remember Most About Playing Baseball In High School: Playing for a great coach (Rob Hertler). The district rivalries, and the making lifelong friends. One Thing I Would Change About High School Baseball Today: The amount of games played in a high school baseball season. To play a 22 game season in Florida is a disgrace. If I Could Change One Thing About My Coaching Style It Would Be: Try to understand that perfection in baseball does not exist. If I Wasn’t Coaching/Teaching, I Would Be: A retired firefighter or in law enforcement. Something I Wish I Knew When I Was Younger: The word moderation and how to apply it to life. When My Coaching Career Is Over, I would Like To Be Remembered For: Working hard. Teaching the game the right way, and molding my players into productive members of society.